9/3 Trey Songz ★ DJ Camilo, Drewski + Many More! LDW 2017 Tickets! 9/3 Trey Songz. Labor Day Weekend, 12 Hour Pool Party Bash! – CLICK PHOTO – for Limited Tickets! Multiple Artists LIVE! at The Pool After Dark, AC! Source: 9/3 Trey Songz ★ DJ Camilo, Drewski + Many More! LDW 2017 Tickets! ✦ 4th of July Saturday Bash ✦ Dusk Nightclub! – CLICK PHOTO – for EarlyBird Tickets! 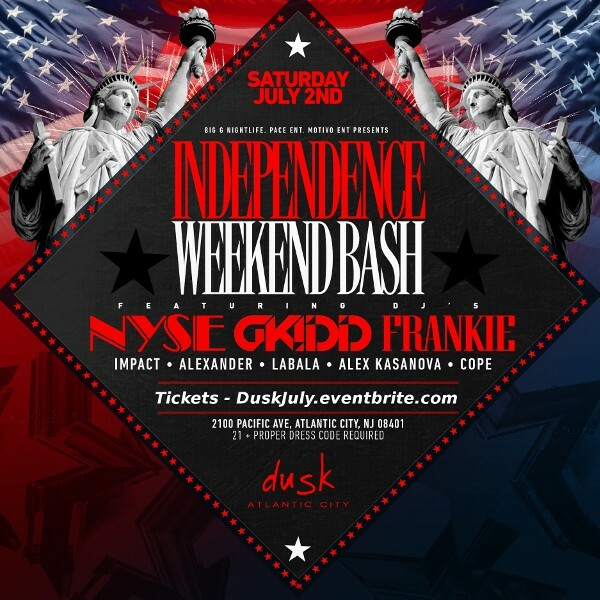 Source: Independence Day Weekend Bash ✦ Dusk Nightclub!